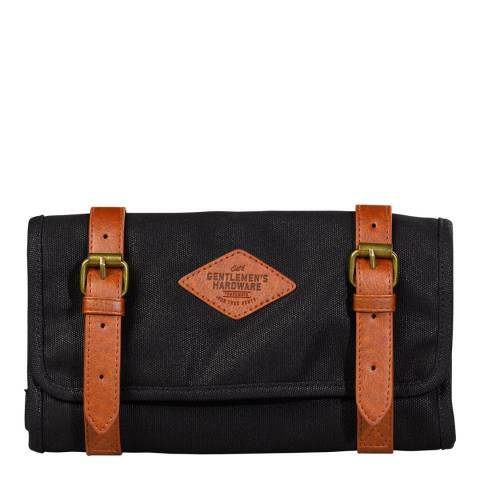 Keep your tools safe, organised with this Charcoal Tool Roll from Gentleman's Hardware. Made from canvas with brown leather effect detailing, the roll is fastened with adjustable buckle straps and unravels to reveal plenty of storage space. The nine slots vary in size to fit DIY accessories of all shapes and size. Perfect for carrying your tools from place to place and on the go.